Because Gov. Ron DeSantis' inauguration fundraised through the state Republican Party, it’s impossible to separate donations used for the inaugural festivities and other party needs. TALLAHASSEE — When Gov. 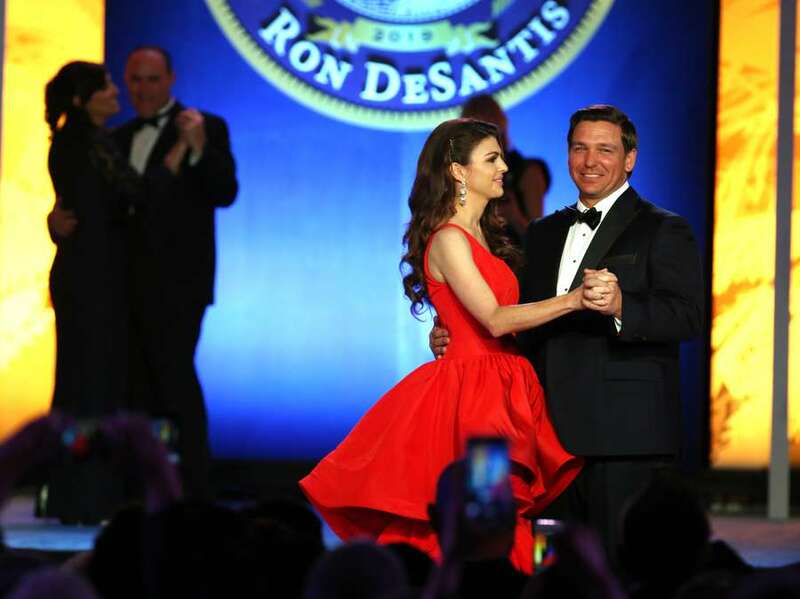 Ron DeSantis took his oath on the steps of the Old Capitol in front of more than 3,000 people, then danced with the first lady to a live jazz band at the Inaugural Ball, one question lingered: Who paid for this? Because DeSantis' inauguration was fundraised through the state Republican Party, it’s impossible to separate donations used for the inaugural festivities and other party needs. But new finance reports begin to provide answers the inaugural programs, which listed sponsors but no amounts, didn’t. U.S. Sugar donated $350,000 to the Republican Party of Florida between the midterm election and the end of 2018 – making it the No. 1 donor for that time period. Another top donor to the Republican Party of Florida is a health care management company, Centene, which is a parent company for others that contract with the state to provide Medicaid or health services in 61 Florida correctional facilities. Centene donated $100,000. Yet another $100,000 donor is a mysterious Washington group called the Center for Advancement of Integrity and Justice, which listed a Washington, D.C., address on Pennsylvania Avenue and its purpose as “advocacy” in contribution reports. However, the group has no website and just registered in October 2018 as a corporation in Delaware – a state known for lax business registry requirements. Disney donated $75,000, while Ashbritt, the massive debris pickup company that has fallen under state scrutiny — and employed DeSantis' new emergency management chief former Rep. Jared Moskowitz — donated $50,000. Utility giant Duke Energy, Florida’s largest payday loan company Amscott and Surterra, the medical marijuana company, also donated $50,000 each. Times/Herald staff writer Elizabeth Koh and Times senior news researcher Caryn Baird contributed to this report.